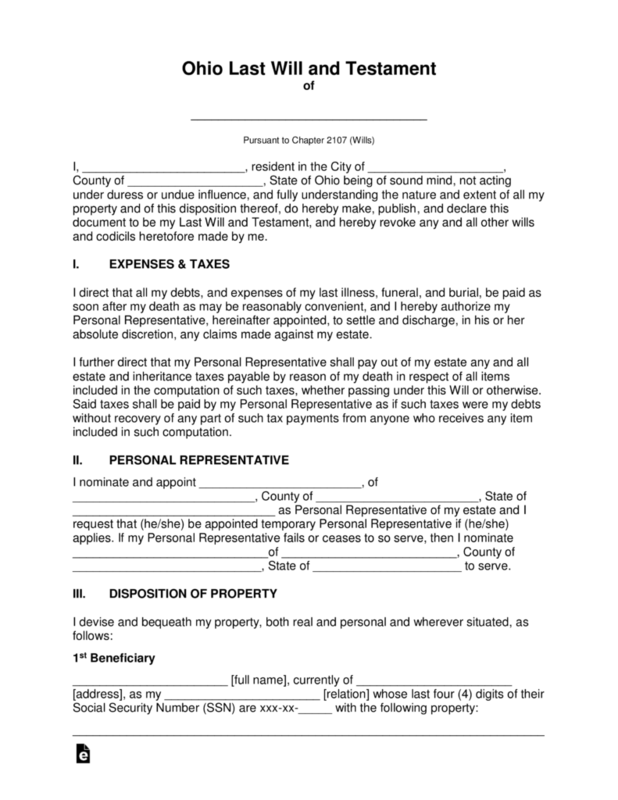 The Ohio Last Will and Testament is a document that is written by a testator to ensure that their estate will be properly distributed according to the wishes of the testator after their death. 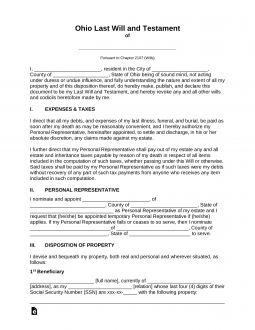 The document is set fourth in preparation to be certain that their personal property, real property, accounts of a fiduciary nature and any other valued property will continue to protect their families. In the same the testator may decide to show appreciation by bequeathing donations to charities or any other organization. Upon completion the document must be witnessed by two separate witnesses and a notary public acknowledgement is required. Signing (ORC 2107.03) – Signed by the Testator and by Two (2) or more competent Witnesses in the presence of the Testator. Step 7 – Notary Public – The remainder of the document, after all signatures have been witnessed, will be completed and acknowledged by the notary public.